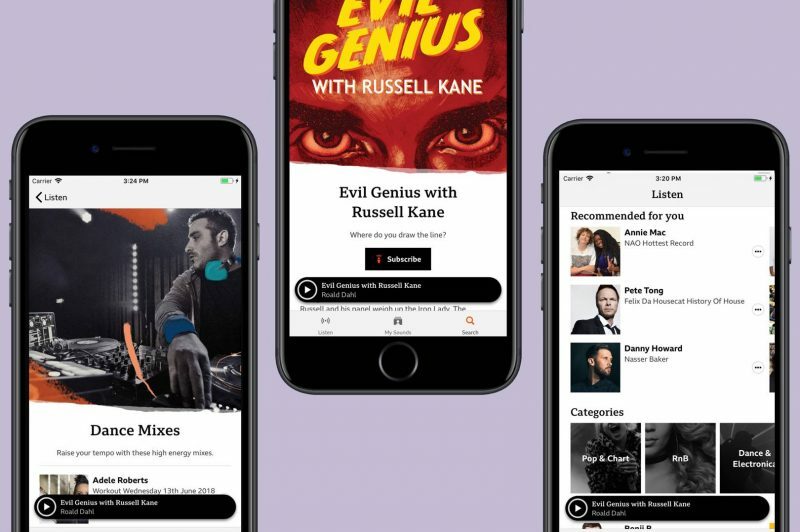 "Every user's experience of BBC Sounds will be unique as it's designed to learn from your listening habits, providing one-tap access to the latest episodes of your favorite BBC podcasts and radio shows and introducing you to new audio you wouldn't otherwise have discovered from the 80,000 (yes, really) hours available." This content is delivered in a "Recommended for you" section, which showcases 10 on-demand shows at any one time, and automatically refreshes based on recent listening. 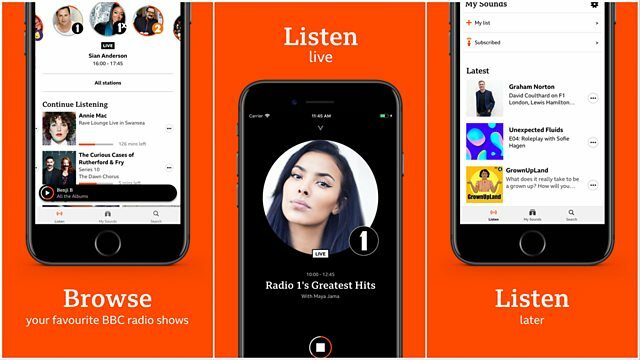 The live radio section of the app retains the virtual tuning dial used in the BBC iPlayer Radio app, which Sounds will eventually replace, and acts as a portal to all of the BBC's 18 national and 40 local stations. There are also hand-picked collections of podcasts and on-demand music shows on offer to match the listener's mood, like Funny Chat, Upgrade Your Life, Live Sessions, and Dance Mixes. Podcast and show categories cover the full gamut of content available, such as hip hop, classical, crime, and science and technology, while a "Continue Listening" section highlights podcasts and radio shows that have only been listened to part-way through, as well as next episodes to consider. Users can add any individual episode or clip to the "My List" section to listen to later. In addition, subscribing to podcasts and programs generates a personalized feed of the latest episodes via the "My Sounds" section. The BBC says there are several additional features in the pipeline for Sounds this year, including downloads to enable offline listening, so expect updates in the months ahead. Wrong. It is not state run. If it was, the government would never have to take it to court as it has in the past. Unusually given the Beeb's recent track record this is not a case of style over substance but is actually a well thought out app. It seems to work well too, which is a bonus. Now maybe they can sort out their video laden News app and return to written articles - some of us can read and don't just look at the pictures.